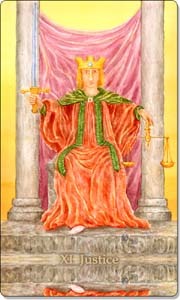 Justice is associated with the zodiac sign Libra. If Libra is either your sun or moon sign, then Justice is one of your zodiac cards. 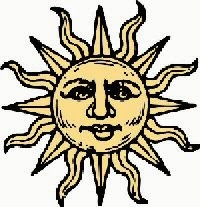 As a sun sign card, Justice may reflect your conscious, expressive, outward, open personality; how you engage with people and the world around you. As a moon sign card, Justice reflects your unconscious, hidden, blocked personality traits, instincts and emotions; you feel them within.